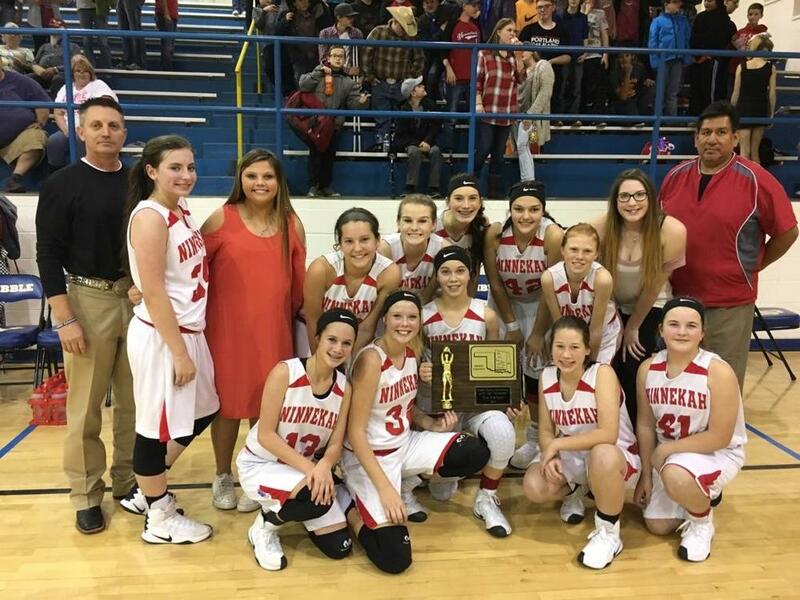 Ninnekah Junior High Girls Basketball team won the JH Grady County Tournament in the championship game on Tuesday, January 17th. The game was originally scheduled for Saturday, January 14th, but was moved due to expected inclement weather. The girls had a rough first half and fell behind for the first time all year. In the second half, they made a come back after being down by five points. They ended up winning by ten points with a score of 37-27. The girls are led by Coach Ron Akins and Assistant Coach Chuck Yackeyonney.